Botswana is a country the size of France where most of the land mass is made up of the Kalahari Desert. In the heart of Northern Botswana is the Okavango Delta, a wildlife paradise, which is formed by the Kavango River which flows into this very flat area of land and spreads out over a huge mass, roughly the size of Switzerland. Botswana is a very stable country with a population of just over 2 million people. 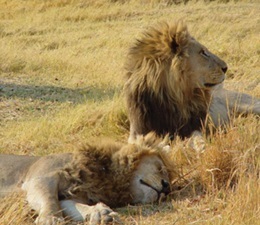 Twenty percent of the land has been set aside for National Parks and Game Reserves. 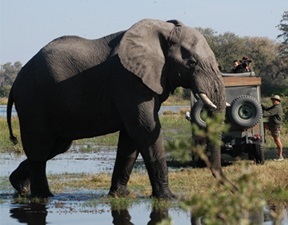 The best time of the year to visit Botswana, is between March & November. We highly recommend a visit to the famous Victoria Falls – a sight not to be missed. Our professional guides are experienced photographers and naturalists and will assist in all aspects of your African adventure.